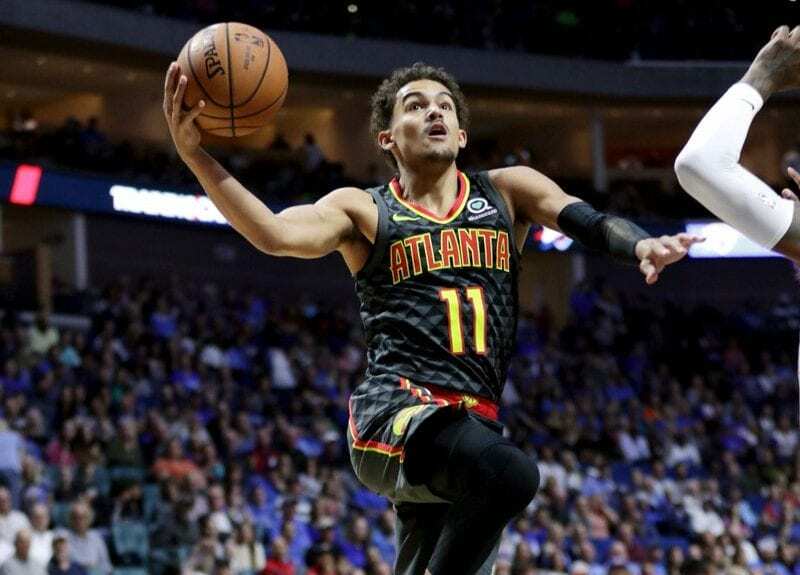 It’s only preseason, and only four games so far, but Trae Young is looking like a great pick by the Atlanta Hawks. Drafted fifth overall in June’s NBA draft by Dallas, but immediately traded to Atlanta, Young has been tabbed as the Hawks’ starting point guard. He’s played more than 20 minutes and scored in double figures in each game so far. And Wednesday night’s performance was the finest yet. The rookie scored 22 points and dished out seven assists, but the highlight of the evening came on his fourth and final 3-pointer: a 30-foot shot to win the game. A consensus first-team All-American last season at Oklahoma, Young led the nation in scoring (27.4 points per game) and assists (8.8), the first player in Division I history to do so (at least since 1983, when assists became an official stat). His prolific offense and relatively diminutive size (6-foot-2, 180 lbs.) have long drawn comparisons to Golden State’s Steph Curry (6-3, 190; two-time NBA MVP). The deep-range 3’s will do nothing to stop those comments. Both players are men of faith as well. Curry has long been known as a Christ-follower, and Young says he thanks “God for everything constantly.” He grew up in Norman, Okla., where he attended Victory Family Church with his family. Even as he became a star while playing at the University of Oklahoma in Norman, he continued attending church, where he’d often get swarmed. I’ve Worked So Hard For This…. Young will begin playing NBA games that count on Wednesday, when Atlanta opens the regular season with a three-game road trip to New York, Memphis and Cleveland, before the home opener against Dallas on Oct. 24 — a game that will be nationally-televised on ESPN.